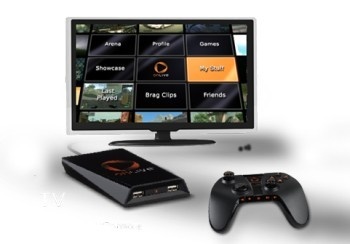 Think you're buying that game on OnLive? Think again. OnLive launched yesterday, but you might want to think twice before buying any content on the service. OnLive gives subscribers the choice of either renting a game for a few dollars, or paying a little more - up to $60 for AAA titles - for unlimited access. While playing games on the service requires an active subscription, an account can be suspended by the user at any time and for any reason. Should an account remain suspended for 12 months, however, OnLive will automatically close it, resulting in the loss of all content. Sections 12 and 13 of the OnLive Terms of Service state: "OnLive will close your Account if it not resumed within twelve (12) months of the last suspension ... Closing your Account will immediately and permanently terminate your access to the Service using the closed Account; immediately and permanently terminate your access to all content, messages ... or anything that may be of value directly or indirectly associated with the Account, if any, whether purchased or not." There's plenty to be excited about with OnLive, but unless you're willing to pay for the service forever, I'd think long and hard before buying anything on it. You might decide that some games are worth your cash - and not all games will cost $60 - as long as you aren't under any illusions that your purchases are yours to keep.